Ace/Avant performs precision excavation behind an existing retaining wall. Headquartered in Archdale, N.C., Ace/Avant Concrete Construction Company Inc. has been in the concrete business for more than 25 years. What began as a small enterprise pouring concrete slabs and footings has now grown into a large and successful company with more than 250 skilled employees, offering its clients a complete range of site work and concrete construction services. The company has constructed more than 280 million sq. ft. (26 million sq m) of industrial floors and tilt-up wall panels in more than 20 states since 1990. “We have over 10 divisions handling all types of concrete work for both commercial and private construction projects,” said Steven Perkins, operations manager, site and utilities division of Ace/Avant. Over the years, Ace/Avant has proven that it is driven to provide quality work. “We stand behind our work. We are very timely in our work and getting it done. We meet schedules,” said Perkins. “We have shown the contractors in our region that if they have a tough project with tight timelines, we're going to get it done and get them turned over ahead of time. In this market, getting their building pad ahead of schedule is really impressive to them. That is something we've always pushed hard to do. The company is currently on a 70-acre site in North Carolina that, upon completion, will be the new home of a one million sq. ft. (92,903 sq m) facility. “Ace/Avant has the entire site package up to stone sub-grade,” said Perkins. “We are handling all the utilities running into the site, including the sewer, water, storm drainage, erosion control —total site package. Also, we have all the concrete footings and slabs and exterior concrete on this particular project. With projects across the entire Southeast region of the United States, Ace/Avant deploys a large and diverse fleet of heavy equipment. Stationed above a retaining wall on site is a Case CX300D excavator that the company has worked with since October 2015. 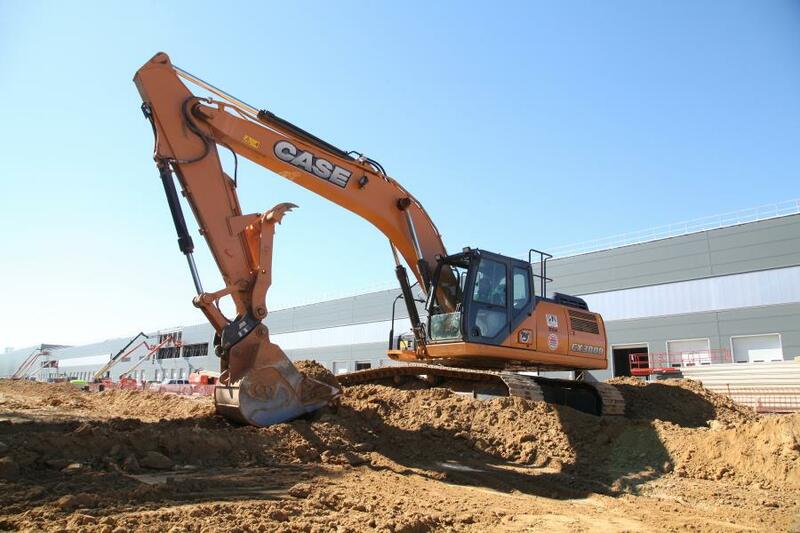 The Case CX300D is a 33-ton (30 t) excavator. “We had a machine with about 17,000 hours on it that just was not performing anymore. We were looking for another machine in that class that could work with our pipe crew, but still handle the utilities and work on the grading as well,” said Perkins. “When we look into buying a new machine, we look at the strength of the machine, the power, the speed, fuel economy and maintenance issues. Each Case D Series model employs a Free-Swing feature for added control when craning, pipe laying or lifting offset loads. “We got in there, it handled our 20-foot trench box for our pipe crew. It was stable while handling. Lifted it, turned with it and was able to travel and get it where we needed it. “When we got back to where we were serious about buying, it'd already scored real high for us and our utility guys were very impressed with it. When the utility guys are happy and like a machine, that's a pretty good selling point,” said Perkins. “The thing I was most impressed with was the stability over the side of the tracks when lifting heavy loads, setting storm drain boxes or sewer manholes. It was able to handle a bigger box than the other machines, lifting and booming out over the side of your tracks, where a lot of machines would tip under the same load. 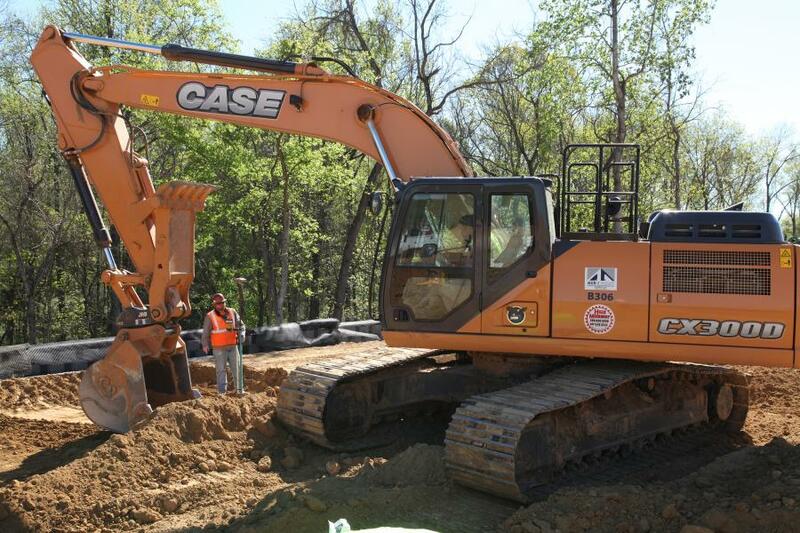 Case D Series excavators feature an electronically controlled hydraulic pump, as well as larger control and solenoid valves. These features combine with Case's Intelligent Hydraulic System to make the best use of the machine's hydraulic power and momentum, resulting in added strength and fuel efficiency, according to the company. The precision and responsiveness of controls was evident on a recent task where the excavator had to remove a lift of dirt without disturbing existing geogrid just a few feet below. 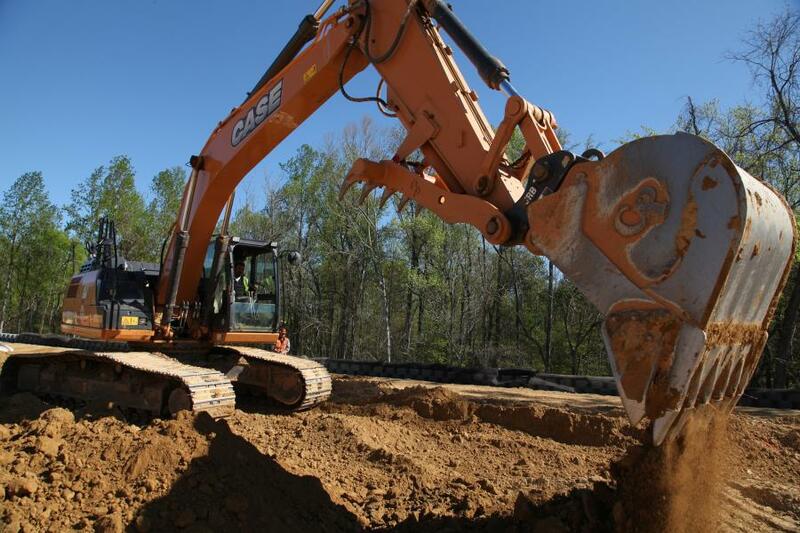 The Case D Series excavators are designed for comfort and visibility for the operator. The cab provides more entry room and foot space, and features a fully adjustable air-ride seat with a built-in heater as well as adjustable arm rests to reduce operator fatigue, according to Case. 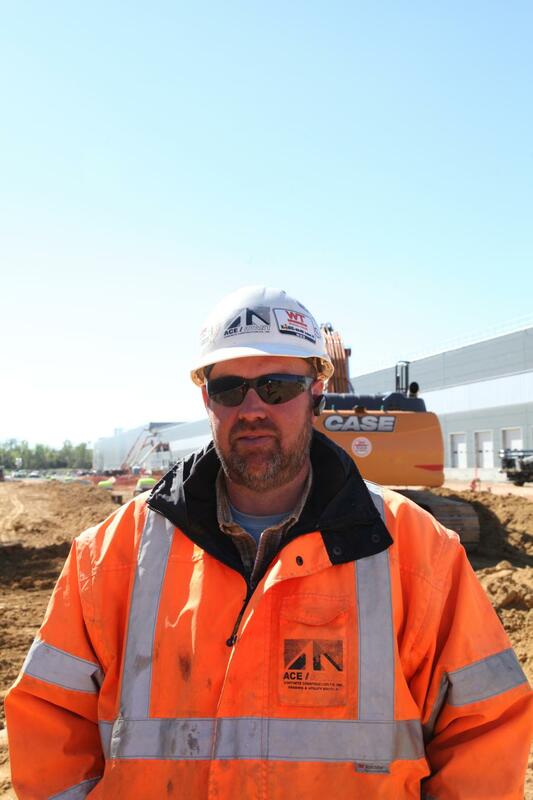 Brian Dickerson is the utility foreman for Ace/Avant, and has been an excavator operator for more than 15 years. “Comfort for an operator is very important because you're up in that cab for eight, 10, 12 hours a day,” Dickerson said. “People think because you're on a piece of equipment that the job is easy — it's not. You want your operator to have enough room so he's not cramped up. The cab on the Case excavator has plenty of legroom for the taller guys. They're comfortable. You don't have to fold yourself up to get into the machine and feel like you're in a sardine can all day. “The ergonomics are great. The controls, the adjustability of the armrest. The length of the controls away from you. They're very nice and adjustable to every operator. Ace/Avant has many operators who are often operating different equipment on a daily basis. With an intuitive control pattern selector, Case D Series excavators allow operators to switch between ISO and SAE patterns. Ace/Avant purchases its Case equipment from Hills Machinery, which has been serving the heavy equipment industry in North and South Carolina since 2007. All Case D Series models come standard with Case ProCare— a complete maintenance and support program, which provides a three-year/3,000-hour full-machine factory warranty, a three-year/3,000-hour planned maintenance contract, as well as a three-year advanced SiteWatch telematics subscription.